If you’ve decided that you never want to clean your gutters again, you have two choices: either plan on paying someone to do it regularly, or invest in gutter guards. In the end, most homeowners decide that gutter guards are the most economical and effective option. Whether you’re looking for the best gutter guards for steep roofs or low-slope roofs, you have some decisions to make. If you’re particular about what your gutter covers are made from, you’ll want to consider the material first. The most common options are aluminum, vinyl, galvanized steel and foam. If you’re looking for longevity and cost isn’t an issue, consider galvanized steel or aluminum. Gutter covers come in many different styles. Fine mesh screen gutter guards are often made of aluminum and sit on top of gutters. They’re easy to install and relatively inexpensive. Perforated gutter covers are almost always metal and sit on the gutters. The cheapest option is an in-gutter foam system that absorbs water while blocking leaves from entering the gutter. The most expensive is the all-in-one gutter that is both the gutter and gutter cover. This isn’t a style many homeowners consider unless they’re already planning to replace their gutters. There will be some added weight on your gutters when you install any type of gutter protection. You or your gutter guard installer should look at your current gutters and evaluate if you’ll need additional support brackets. Fine mesh screen gutter guards are very lightweight and generally don’t cause an issue. Although foam is lightweight, depending on the product it can hold a lot of water and become very heavy – especially if it freezes in the winter. 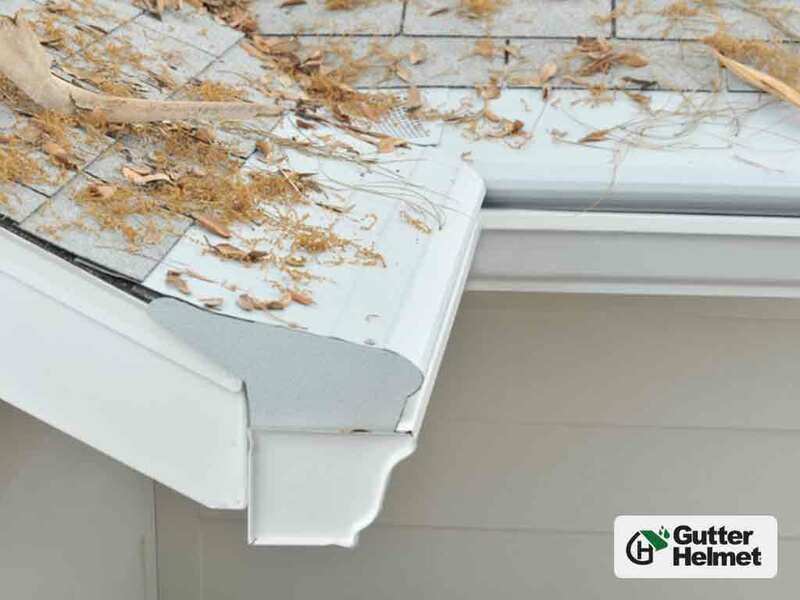 There are gutter protection options homeowners can purchase at their local big-box home improvement store or online, while others must be installed by manufacturer-authorized installers. If you choose to have a company install a product that affixes to your roofline, make sure that the installer won’t inadvertently void your roofing warranty. Not all gutter protection comes with a warranty or guarantee. You should take into consideration what comes with yours as part of the expense. You’ll typically find that only those systems installed by a professional gutter installer include a warranty. The warranty should cover installation-related issues and materials for many years. Of course, you want a guarantee that states you’ll never have to clean your gutters again. 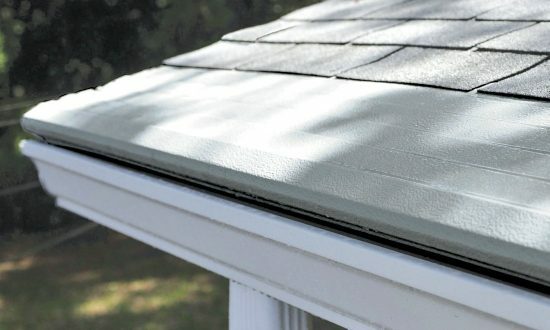 When it comes to the best gutter guards for steep roofs, nothing is better than Gutter Helmet®. Our patented design keeps debris out of your gutter while making sure water flows into the gutter and away from your foundation. If you’re ready to learn about the many advantages of Gutter Helmet, call (800) 824-3772 today.